Dell's Inspiron range of laptops is almost a byword for solid, family-friendly machines that strike an entirely reasonable balance between price, performance and construction. The latest refresh of the line, the Dell Inspiron 15z Ultrabook, continues this trend, and stands alongside the likes of the Acer Aspire S5 and the HP Envy 6 as an example of a middle-of-the-road laptop done right. One of the main reasons for Dell's refresh is the presence of Windows 8. Unfortunately, the Dell Inspiron 15z doesn't come with a touchscreen as standard - it's an optional upgrade. Despite the update, our gut reaction is that if you have a family laptop less than a year and a half old, there isn't enough that's new here to merit a purchase. 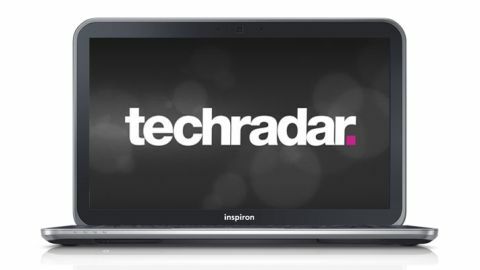 However, if you're fresh to the laptop market or have been waiting for Microsoft's new upgrade to replace that ageing four-year-old laptop, then there's plenty to be said for the Dell Inspiron 15z. Dell frequently offers different specifications of its laptops and Ultrabooks at different prices, and the Dell Inspiron 15z is no different. There's the usual Intel Core i3/i5/i7 choices, as well as the option to add extra RAM and a dedicated graphics chip. Our Dell Inspiron 15z review model came at the higher end of the spectrum, with an i7 processer, 6GB of RAM and a discrete Nvidia GT630M graphics chip (though the Australian and US versions come with 8GB RAM). Predictably then, performance was a highlight, and certainly adequate for the £799/ AU$1,499/ US$999.99 price tag that comes with this specification. Build quality is the usual high standard, with no flex on or around the chassis, and a couple of nice touches - such as a backlit keyboard and a DVD drive - thrown in for good measure. In a market now dominated by devices sporting unique and costly USPs, such as the Asus Padfone 2, Sony Vaio Duo 11 or the Macbook Pro with Retina Display, the Dell Inspiron 15z is a reliably standard consumer Ultrabook. It doesn't blow us away in terms of specifications or design, but for a family computer that needs to handle a range of different applications - office work, light gaming or heavy internet use - it passes the test comfortably without breaking the bank. The Dell Inspiron 15z isn't trying to fit a specific type of performance such as gaming, multimedia, portability or style - instead it offers a jack-of-all-trades approach to all these options. We see it instead being suited to a modern family where each member can have a separate profile and use this machine for a variety of tasks.